A full Winged Cards is efficiently aggro. The combo of a Monster plus Nest plus Egotist will kill the enemy in two rounds. The Magic card of Nest and Egotist are the reasons of this deck being aggro. Unlike the Dragon Deck needs 3 cards out of 9 to combo, Winged Deck only need 1 out of 6 Harpie Ladys and 1 out of 7 magic cards to combo. 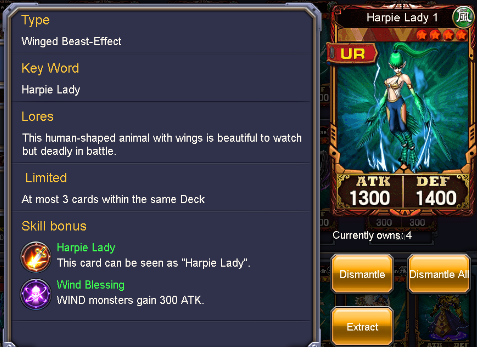 This card can special summons a powerful wind monster: Harpie Lady Sisters. When it compares with the other combination of Magician Girl and Sage's Stone, this combination is more practical. 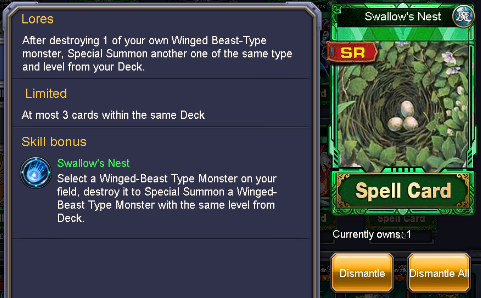 Bring another winged monster back when it already attacks. The core card in this deck. Very strong monster card. 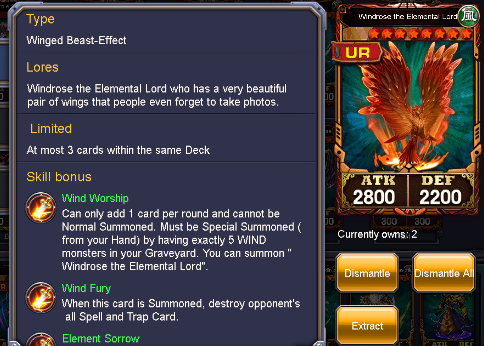 Not very hard to fulfill the requirement of special summon. The ATK and DEF figure are the one of the best. The entrance skill is additionally good. Only one tribute is needed to summon it. This god card is not unaffected by the trap cards. Super high ATK figure is valuable. It is the core with buff in the winged deck. 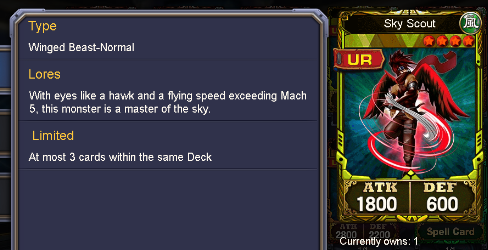 It has the effect of Metalmorph and can decide the game. Relying on Nest and Harpie Lady to make a combo isn’t good enough. 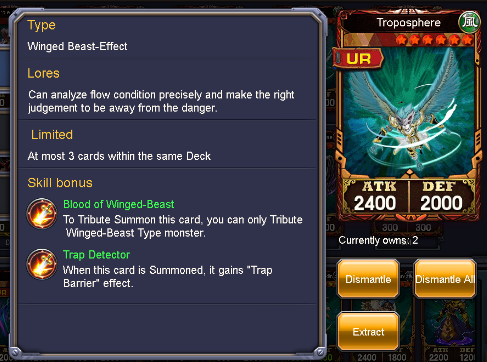 So this card is the other 4-star card beside Harpie Lady 1 to solve this problem. ATK 1800 is strong enough to join the battle directly. 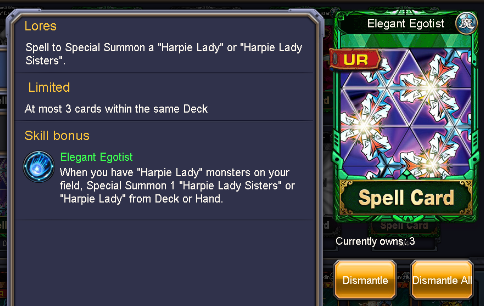 Unlike Harpie Lady 1 cannot join without Egotist. Nest plus Egotist is a possibly steady way to form this OTK deck.